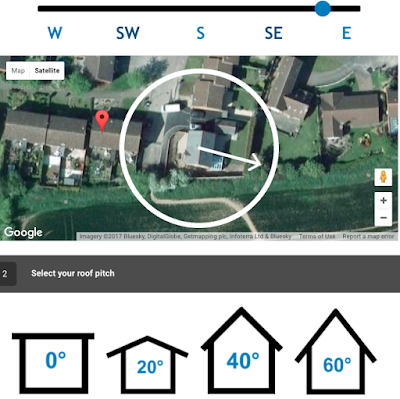 22.5.2017: Expertsure Solar Calculator : I was recently alerted by Ollie Smith to this useful website, Expertsure. It includes a solar calculator, which calculates your likely return on investment for a Photovoltaic installation. 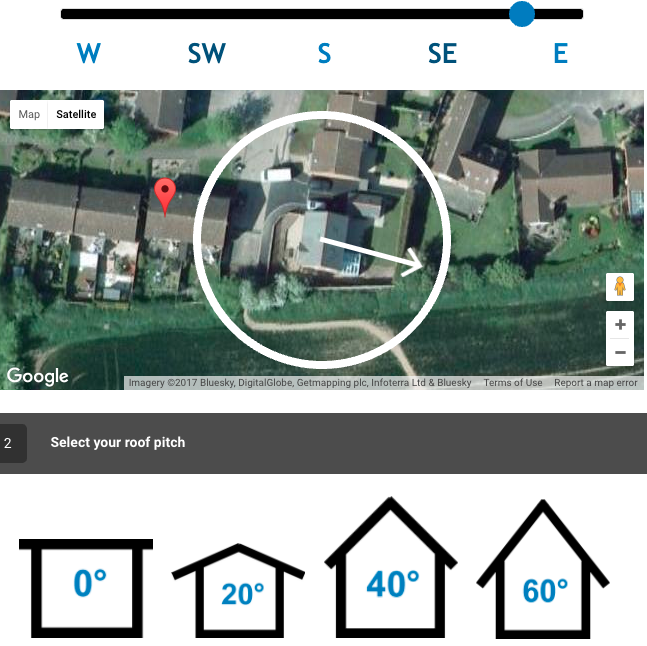 It harnesses the imagery of Googlemaps to show you a realistic satellite view of your house. You adjust easy sliders or turnwheel to give orientation, shading risk, installation capacity. 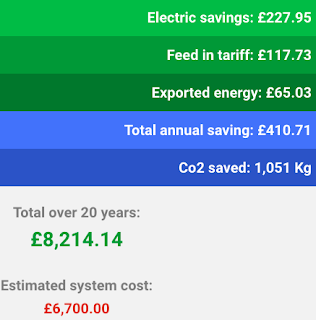 It works with current average installation pricing and feed in tariff and electricity rates to calculate the solar capture and to give you a summary of power, cost and earnings. It starts off by asking your postal code. You can adjust the turnwheel over your house for a complete picture. 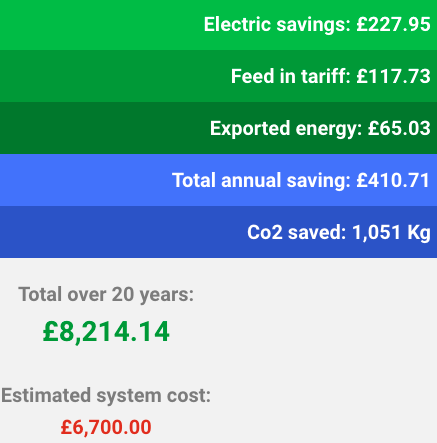 Although the current Feed in Tariff is not the strong incentive that it was in 2010, the calculator includes predicted savings on electricity use (provided you use it smartly, like running the ironing and washing machine during peak solar), and this makes the investment look more worthwhile. Caveat: You need to consider how shading risk will change over the years, a small tree now could be large in 20 years time. Also, panels do decline slightly, and there are occasionally the need to replace the only 'moving part', the inverter (we hope not). Do not select an installation larger than 4kW for a domestic house. Anything larger needs enlarged meters and cabling.